These sleek totes are specifically designed for today's Chromebook / Ultrabook and tablets. They share the fashion -inspired styling of our larger totes but in a compact, convenient size. The slim-line styling and rich Corduroy fabric gives these cases an attractive, sophisticated look and feel. There are separate, padded compartments for both your Chromebook / Ultrabook and your tablet, keeping them both secure and protected. The integrated workstation helps organize your compact accessories - keys, MP3 player, pens, USB Flash Drives, SD cards and more. 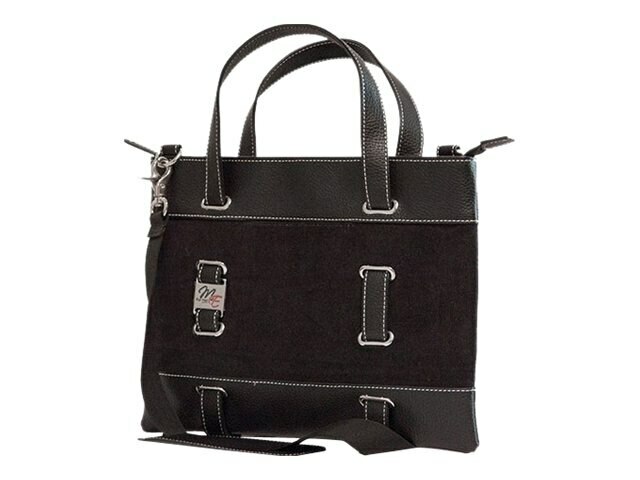 The removable shoulder strap allows you to carry what your gear while k eeping your hands free. When you combine the great styling, laptop and tablet protection, organization features and user comfort, the Corduroy totes may be the perfect cases for today's woman on the go!